The all-flash array (AFA) market has undergone significant maturation over the past two years. As such, multiple areas have developed within the flash array space: there are systems targeted for dedicated application deployment, for web-scale applications, and for dense mixed workload consolidation. 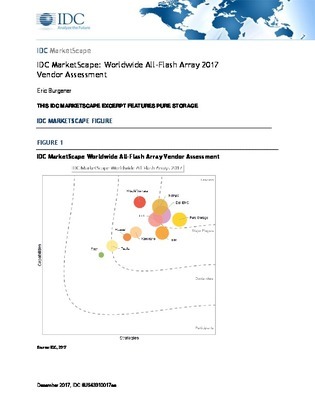 Read this IDC MarketScape Report to examine one vendor, Pure Storage’s, all-flash array offerings in terms of the vendor’s strengths and challenges. This report evaluated AFAs against a specific use case: dense mixed workload consolidation that includes at least some mission-critical workloads.